Office Space - Newton (New Jersey), New Jersey. 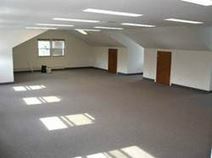 Serviced space offered at this Sparta location, off route 94. Close to Sussex Airport and to Newark. The offices are very modern and will suit the individual or up to 8 persons. Postal services offered and conveniently located on the two lowers floors.